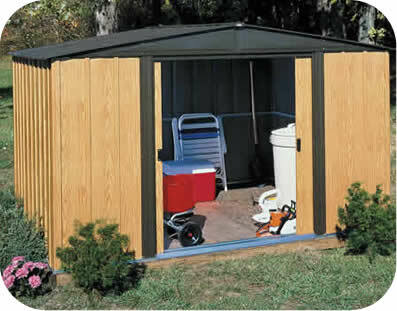 Get the best of both worlds with our Arrow Milford backyard shed! 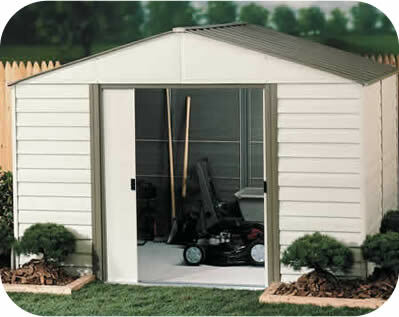 The strength of a steel shed and the longevity of a vinyl shed. 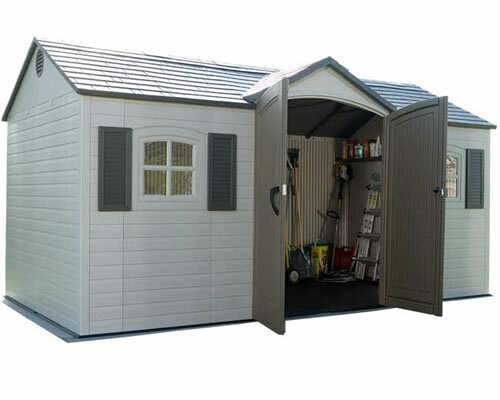 Our Vinyl Milford storage shed from Arrow Sheds is constructed of vinyl coated steel for extra stregnth and durability. 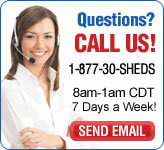 The vinyl coating is 5 times thicker than paint. 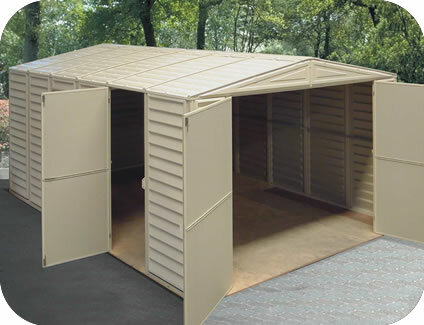 Attractive wall panels look just like vinyl siding. 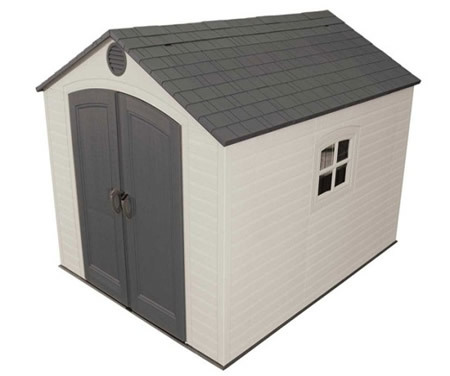 The gabled roof gives plenty of headroom for taller people. 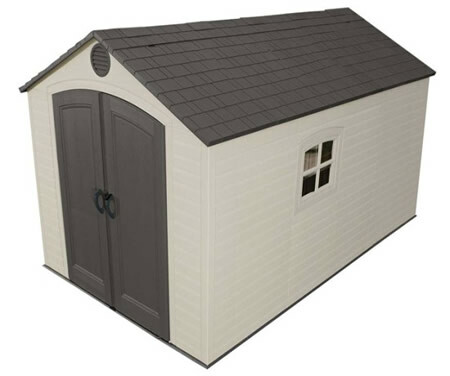 Backed by a 15 year warranty, this storage shed is the perfect solution for any backyard storage need.